Worried about your wireless network security? Probably so will be. Otherwise, why would you go to search the Droidsheep APK app to download to inspect your network area? Surely you are thinking that anyone who uses your wireless network and who is illegally using it secretly. Or maybe you are unaware of why someone or a group of people is playing this hideous game with you and your network users. If you have doubts about these things; But I want to tell you a lot more. That could shock your thought! So stay ready and sit down! Are you shocking? After hearing this (above) news; Probably you have now hesitated a lot. Believe it or not but this is 100% true. Suppose, recently you have used a public internet network and you forget to log out your last internet session. You used your sensitive online accounts such as Social Media, Email ID, Online Bank Account and other top-secret online website activities through the public WiFi network. Another same wifi user can be hacked your previous browsing session by using only the Droidsheep apk. You should also protect your self by reading the article about WhatsApp Sniffer application and downloading. It is also similar to WhatsApp hacking on similar wifi using users. I will describe more information about what is, how to, why need and cautions even! But If you do not need to read more description, and want to one-click direct download system. Please follow the following links to download it for Android (apk file) for free. Get it From other filesharing media. Frequently we release al the download links above. So wait for the moment. Note Please: Only one link workable till now. 1st download link among the all of the above is working now. If you unable to download from the UppIT. Then drop a comment on this article for the media sharing site you like most or handy for you or contact us. We will share the apk file on the server you choose by the comment. We emphasize to drop a comment. Because it is easy and handy to share your thoughts. APK file has released for only searching your own security issues and loops who are bad for your privacy. Purpose of this application is only protecting yourself from a madman who tries to explore your private issues and events. Do to harm a user; Even for educational purposes! Droidsheep is one kind of hidden tunnel to grab other users online accounts. So we declared, do to hack others accounts, It is just for safe your/my accounts (online). It usually does not work on high-security public networks. It only works on the less-security based wireless networks (public only). Finally, I want to say, once again, please do not try to dig a trench for another one. Here is some most important and useful information about the software(apk). 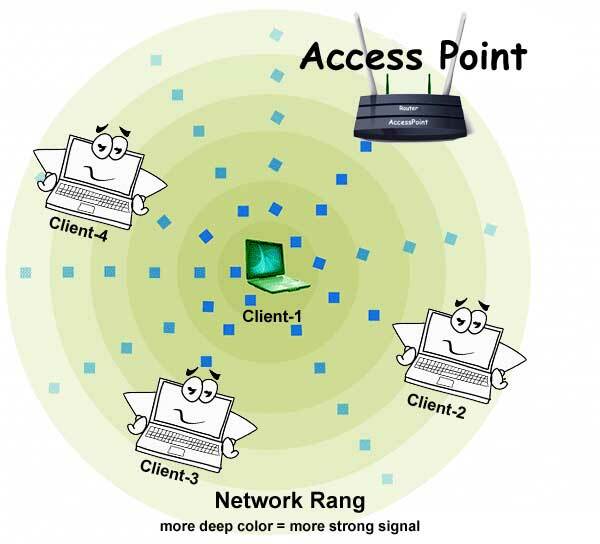 The diagram below indicates the signal range of a public wifi/wireless network. You maybe know the system of data sharing method of a public wireless network. It tells it once again for my visitor who need to know again. In a normal sequence; when you use the high secured signal/network; you browsing data such as cookies and browsing histories are encrypted. It will update day by day soon.